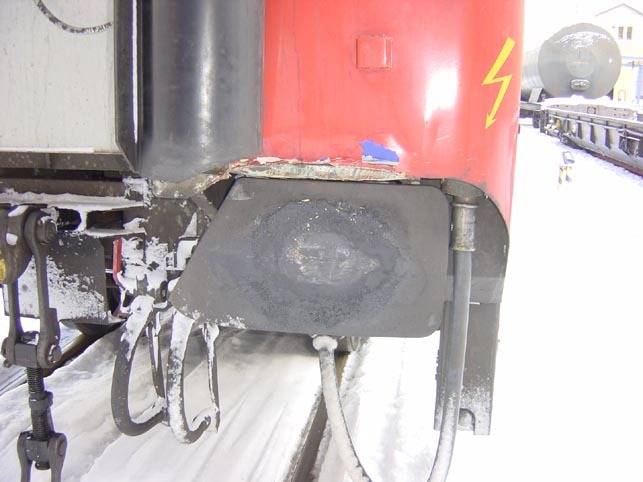 Accident involving one of the passenger coaches that accompany the dedicated lorry hauling trainsets (RoLa) operated by Austrian federal railways ÖBB in the winter of 2005/06. The impact occured at an oblique angle. Hence, the crash function of just one EST Crash Buffer was triggered. 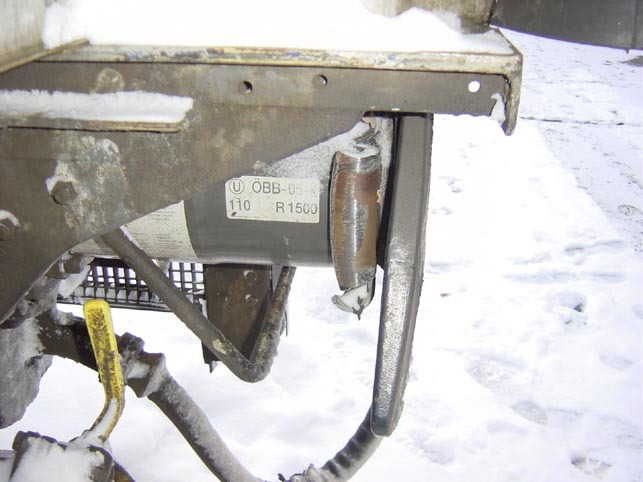 Subsequently, the component deformed in the planned manner and prevented structural damages to the vehicle frame. No derailment occured. (Photo: ÖBB TS, added 22.03.2006).